Miami’s retail market is prime stomping ground for retail landlords, with the third lowest vacancy rate in the United States for the last quarter of 2014, on par with New York City. The market experienced strong rent growth quarter-over-quarter and 10.6 percent growth year-over-year, and the slowdown is nowhere in sight. To better meet mounting demands of retail landlords, JLL today announced the firm continues the expansion of its retail team with the addition of Aileen Messinger, a seasoned industry professional. Messinger joins JLL as Vice President, Retail Brokerage and will be based in the firm’s Brickell, Miami office. “Aileen is the latest addition to JLL’s growing team of strong producers. We’ve been aggressively growing our retail practice during the last year, and added nine brokers in Florida in the past 18 months,” said John Lambert, Florida Retail Market Lead at JLL. JLL currently has more than 100 retail professionals in Florida, and plans to grow the practice in key markets throughout the state, including South Florida. Messinger brings nearly 15 years of experience to the firm, working for landlords, and most recently, with Starbucks Coffee Company. In her new role, she will be responsible for agency leasing and building JLL’s landlord representation business in South Florida, as well as select tenant representation work throughout the region. Her expertise includes lifestyle centers, grocery-anchored centers and high-street retail. “South Florida retail rents continue to climb upward while vacancy contracts, creating a market that’s even more favorable to landlords. Adding Aileen to our brokerage team will allow JLL to better advise our clients on securing the best tenants and leases for their properties. Her experience and relationships with South Florida’s top retail landlords will provide a huge advantage in the expansion of our landlord leasing practice,” added Lambert. Messinger joins from the Starbucks Coffee Company in Coral Gables, Fla., where she was Store Development Manager and responsible for executing the retailer’s real estate market strategy for the southern half of Florida. 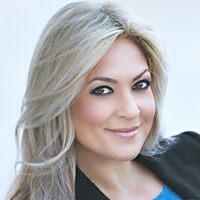 She began her career as a leasing associate for Terranova Corp. in Miami and held other roles with national and institutional landlords including Weingarten Realty and Equity One, overseeing more than 7.0 million square feet of shopping centers throughout her career. Messinger holds a bachelor’s degree from Florida State University and is an active member of the International Council of Shopping Centers (ICSC), where she is a member of the ICSC Next Generation National Advisory Board, State Chairperson for FL ISCS Next Generation and serves as Chairperson for the ICSC Next Generation National Conference, which will be July 26-28 in Miami. Categories: Agency Leasing, Americas Retail and tagged Aileen Messinger, florida, JLL, Miami, retail.